Once again Vail Place has been recognized by the Charities Review Council for meeting its 25 Accountability Standards. The Council was founded in 1946 and works to build donor and nonprofit relationships for strong, vibrant and just communities. They collaborate with nonprofits, donors and grant-makers to ensure that every precious dollar goes to strong, ethical and trustworthy organizations. One way they achieve this is through their Accountability Standards. These thorough standards are benchmarks that measure nonprofit performance in the areas of public disclosure, governance, financial activity and fundraising. Co-created by the Council and Minnesota’s nonprofit and philanthropic communities, the standards reflect a balance of reasonable public expectations for nonprofits, legal/regulatory requirements and nonprofit promising practices. The standards are reviewed regularly with community input from a broad range of nonprofit leaders, funders, donors and subject matter experts. This standards review process involves research and evaluation to determine which ones are truly important and lead to true strength and impact in the nonprofit and philanthropic sector. The Council’s mission is rooted in the standards, with the goal of building a culture of philanthropy where donors and nonprofits are engaged partners who work together for stronger communities. 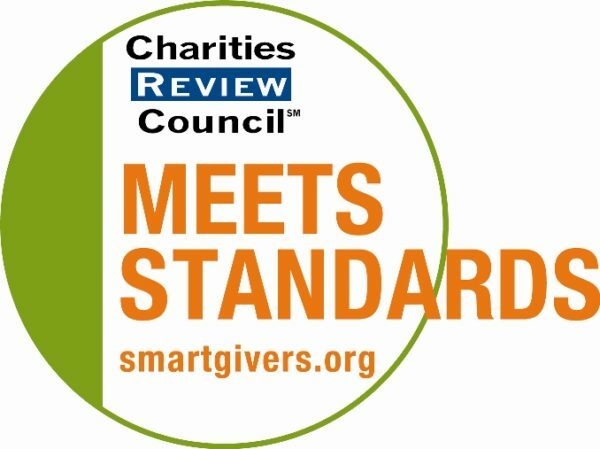 To be honored with the Council’s Meets Standards designation, a nonprofit must voluntarily participate in an online, nonprofit review process and meet all 25 Accountability Standards. The Council’s educational and innovative online assessment tool for nonprofit capacity building is called the Accountability Wizard. With this tool, the review process facilitates a risk-free environment for organizations to align their policies, procedures and governance and management practices with the standards. Once an organization completes the process successfully, it can use the Meets Standards Seal as an indicator of nonprofit strength. Another benefit of completion is inclusion among the Council’s list of strong and trusted nonprofits, which are displayed on the Council’s website and published semi-annually in The Smart Giver Newsletter. Vail Place is grateful to the Council for its support in our mission to help community members with serious mental illnesses avoid crisis, achieve stability and pursue active, fulfilling lives. We are proud to display the esteemed Meets Standards Seal as a mark of our commitment to transparency and best practices.